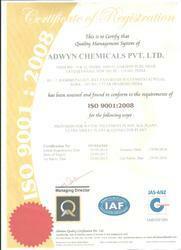 We, Adwyn Chemicals Pvt. 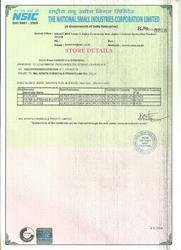 Ltd., an ISO 9001:2008 & 14001:2004 certified company, got established in the year 1994, as a manufacturer, exporter, wholesaler and trader of Water Treatment Plants and Accessories. Our supplied, water treatment utilities such as Water Treatment Chemicals, Water Treatment Components and Water Treatment Equipments are highly liked by the clients. We have acquired expertise in the manufacture of membrane cleaner, which is capable of removing the metal oxides from the membrane. Further, our manufactured, high pressure pump is known for efficiently pumping even mild corrosive liquids. Additionally, our traded, hydro pneumatic system is appreciated for uniformly pumping water to all floors of the high rise apartments. The offered, hydro pneumatic system maintains uniform pressure at all the floors. Our infrastructure facility is well planned and divided into individual sub divisions for production, quality assurance, administration and client helpdesk. The production department is well equipped with the tools and machinery required for the manufacture of water treatment systems. Further, our quality assurance department is very vigilant to watch the complete production process for ensuring flawlessness of the deliveries. Additionally, our offered, water treatment plants are highly appreciated for removing hardness from the raw water. Further, our traded, water purifiers are largely used in apartments, homes and offices, across the country. Additionally, our clientele includes domestic and commercial units, across the country. We are greatly indebted to our mentor Mr. Aditya Gupta, who has always supported and motivated us, during tough times in the market. Our complete workforce wishes to seek his direction and guidance for reaching new heights in the market. 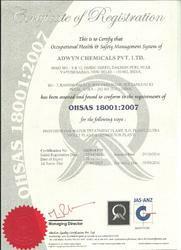 We have become a trusted and reliable name in the manufacturing industry. Additionally, we have gained new client orders, across the country, due to our quality deliveries and fair business deals. 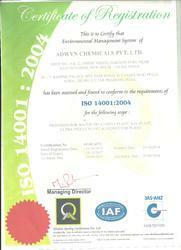 Further, our offered, water treatment plants are liked for flawlessness and cost effectiveness. Additionally, we our team strives to always outdo the client expectations. Further, we offer, multiple payment modes to the clients companies. Our infrastructure facility is spread over a vast area, for smoothly carrying out the business operations. The infrastructure facility is properly divided into separate and segregated sections for production, quality assurance, administration, client helpdesk and logistics. Further, our infrastructure facility is well equipped with the machines, tools and equipment needed for the manufacture of water treatment plant accessories. Additionally, our client support helpdesk is very supportive and helpful to solve the challenges faced by clients. Our organization is backed by an expert team of technician and engineers for carrying out the production of water treatment plants. Further, our engineers and technicians are the most experienced professionals in the trade. Additionally, our marketing and sales staff is capable of keeping our name among the front runners of the domain. 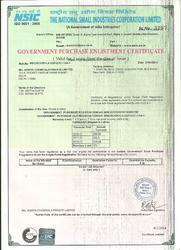 Further, we have gained new clients, owing to the reputation and cordial relations with the existing client companies. Additionally, we have reached the current position in the market, due to the diligent efforts of the employees.